AVG Internet Security Unlimited (formerly AVG Protection) is a popular security suite for home and small office users, that provide all-around protection from all kinds of internet threats including viruses, spyware, hackers, spam and malicious websites. 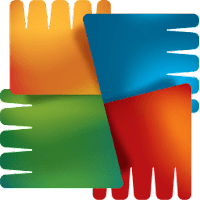 AVG Internet Security Unlimited provide protection for unlimited devices and include AVG Internet Security, AVG AntiVirus for Android and AVG AntiVirus for Mac. Disclaimer: Direct downloads for the lastest version of AVG Internet Security Unlimited 19.3.3084 are provided by the official software's author, we can't guarantee safety, availability or download speed. Moreover, we don't and we won't provide any pirated/illegal versions or tools. We recommend you to avoid it as these methods can harm your device. If you like the software, buy it to support the developers. (We provide software discounts for many worldwide brands).